The last time I shook a tambourine it was quite by accident. I was carrying it for someone in a band who let me help load a car so that I could pretend I was a rock star. As it jingled lightly I felt guilty – as though the Gods of music might smite me for daring to unsettle their percussion with my arrhythmic clumsiness. The time before that was as the backing singer in a staff band named Detention when I was a teacher, but it didn’t count because we only played to a hall full of nonchalant kids at the end of term. ‘As a treat’. It didn’t matter if they didn’t think I was any good because a) what did they know about anything anyway, and b) I could just give them Ds to make myself feel better. I’m one of life’s tambourine shakers. Because it’s the only way, other than humming, that I can join in with that almost celestial art, Music. 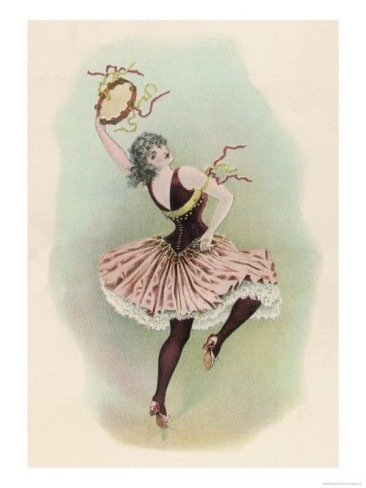 But a tambourine accidentally fell into my hand again last week, drawn to my fingertips by that powerful sorcery of wanting to make a ruddy noise. I was very privileged to be the only non-member to enter the rehearsal room of awesome band The Lucky Strikes. I thought that I might disintegrate on entry to that hallowed ground, but instead I walked through the door and was whammed in the nostrils by the smell of stale farts that had soaked into the sound-proofing over the years. It put me at ease somehow – despite the fact breathing had become markedly harder. I was there to work with the boys on a show I’ve written called The Vagabond Diaries, which sews together stories inspired by their songs. Collaborating with proper musicians was a new thing for me. I was a little daunted by having to speak up in case the language and methods of an actor-writer sounded dumb to cool musicians. I didn’t want to sound like a wanker. But once they started playing (‘jamming’ I believe it’s called in the trade), I got so excited to hear the words I’d written coming together with their amazing songs that I forgot that I wasn’t actually a part of the band. That’s when I may have picked up the tambourine. I may have tried to do a bit of shaking against my leg like a hippy in a scout hut. The boys looked at me. I put it down and said something very clever and droll about the cross-pollination of genres being really liberating. (I didn’t. I reminded them that I had brought them cookies and hoped that would prevent them from beating me with the sullied tambourine). I left ‘the studio’ (jargon) feeling a bit high. It may have been the vapours of ghost farts I’d inhaled, but I think it was because we all felt like we’d stumbled onto something exciting and new. I went home humming, and as I fell into bed I thought about the old adage that music is what all art aspires to. I think it must be true. I wasn’t thinking about the words I’d written, or the stories or characters within, or the themes of the piece, or even the brilliant lyrics that had inspired me in the first place, I was humming. Just the tune. The notes repeating in that magical order. The music is what stayed with me as I fell asleep, and it’s what was there as I woke in the morning. The Vagabond Diaries – tales of being human accompanied by the music of The Lucky Strikes – can be seen in the Old Trunk Theatre Tent at Village Green on Saturday 13th July.